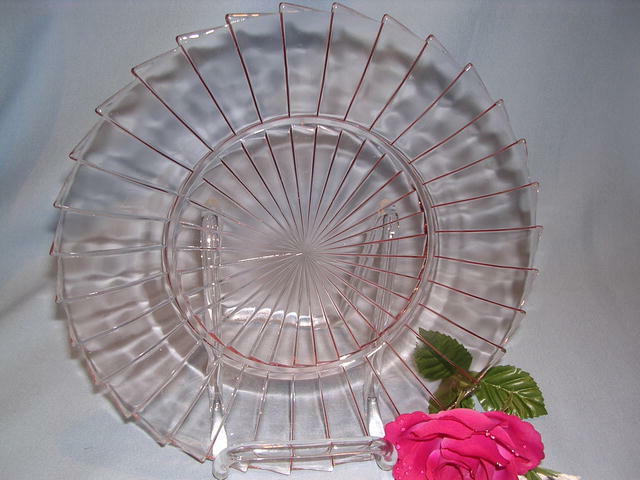 RARE and very collectible Sierra Pinwheel Pink Depression Glass Dinnerware made by the Jeannette Glass Company from l931 to l933. The pattern is very distinctive with it's pinwheel pointed rims. 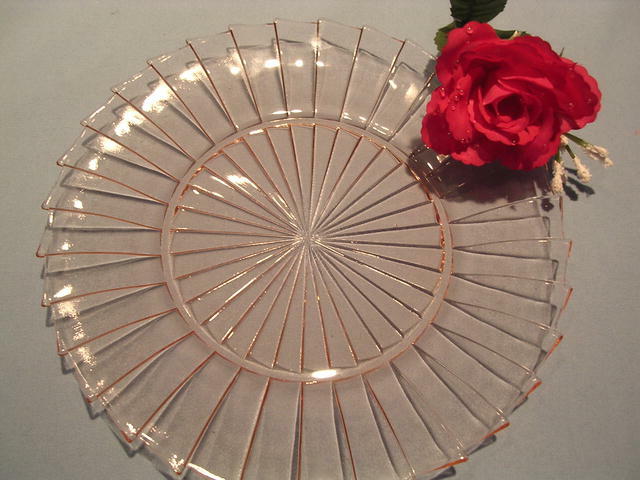 Pictured is the nine (9) inch dinner plate. There are three (3) available and priced individually. They are in mint condition, with no chips, cracks, repairs or utensil marks. 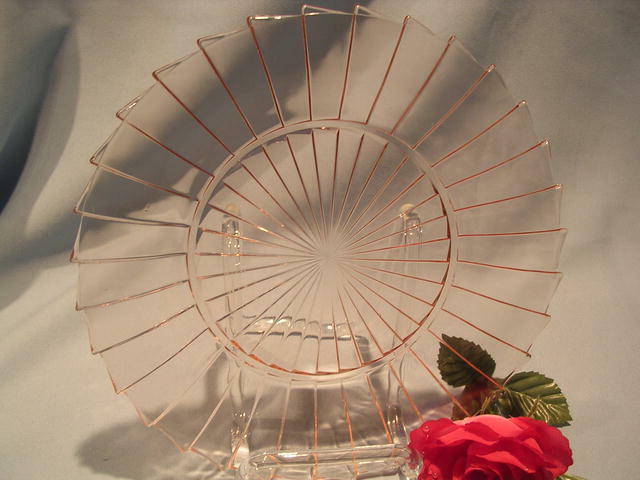 Please see the other pieces of matching Pink Sierra Pinwheel we have listed on GOANTIQUES. 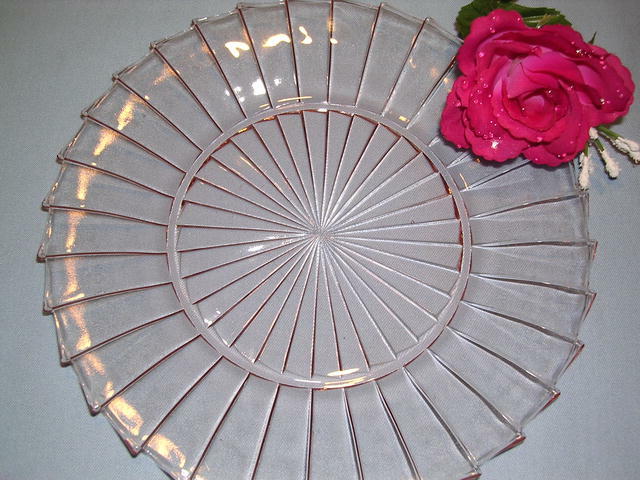 Items Similar To "SIERRA PINWHEEL PINK DEPRESSION 9 INCH DINNER PLATE RARE"